This art piece is a Pohutukawa & Fusion Glass Dining Table. 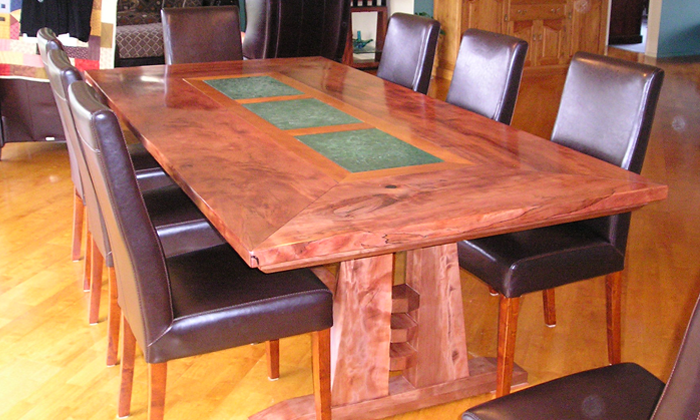 It seats 8 – 10 people, made from stunning slabs of Bay Of Island’s Pohutukawa. With hand made fusion glass inserts set in a Kauri frame.